The thieves use some levers (so-called “crowbars”) to force the shutter and lift it up. The shutter is thereby “torn” into two parts: the bell lock used to protect it remains attached to the base whilst the rest of the shutter is raised. 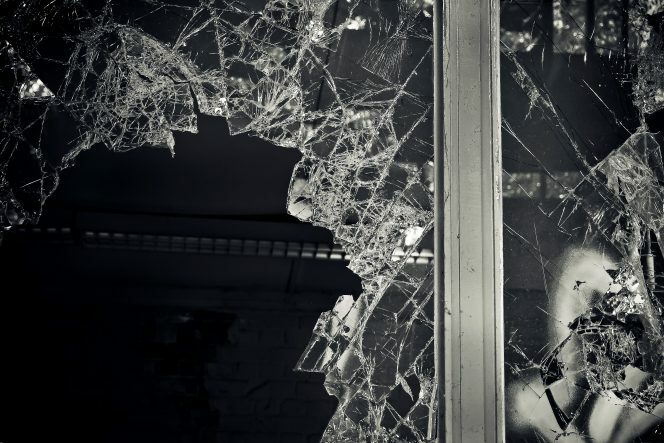 The thieves then use a hammer to break through the window and enter the shop. 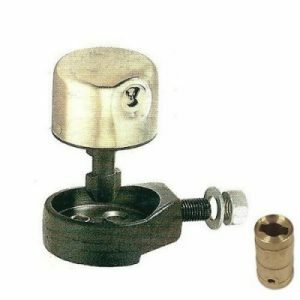 The bell lock used to protect the shutter from burglary attempts is generally equipped with a single fixing point characterised by a threaded pin in which to insert, inside the shutter, a washer and a bolt. The withstand diameter, once the bell lock is fixed to the shutter, is physically very limited, since it is essentially a bolt with a washer drilled in the centre which allows the threaded pin to pass through. A better resistance would be obtained by directly welding the steel bracket of the bell lock to the shutter (as shown in this video) instead of using the threaded through pin, but the application conditions do not always allow a correct welding and, in any case, the contact surface remains quite limited. 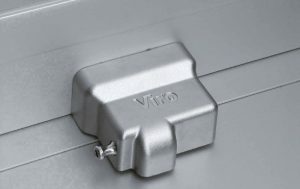 This is why we strongly recommend using a security item which can be welded and anchored with a greater surface to the shutter, thanks to several fixing points such as, for example, the Viro Condor or the New Condor. The New Condor (and also the more traditional Condor) is equipped with internal steel fixing plates and 2 fixing points. A plate, resting on the inner surface of the shutter and used as a template, makes it possible to easily drill the fixing holes and then anchor the New Condor to the shutter with two strong screws from the inside. During the opening, which we have deliberately slowed down in the video, it can be seen that the shutter in question is very thin and is rolled up and raised with great ease. The choice of shutter is therefore also important: the more resistant and sturdy it is (maybe even motorised), and if integrated with a suitable security item, the less chance there is of the thief achieving his goal. An expert thief, but also a “novice”, careful studies before a theft the circumstances he will have to face: from the type of shutter to the security item used to protect it, from the opening and closing times of the store, to the arrangement of the goods inside. The thief therefore arrives prepared at the time of the theft. And in this way the theft occurs without fail, as shown in the video, in which thieves know how to quickly attack the shutter and how to break through the window, then head straight for specific points of the store and take away all the shoes of one model, probably the most expensive and the one which will make the most money. The time factor, especially in stores, which are often equipped with an alarm and/or are located on main and busy roads, plays a decisive role during the theft. This is why the thieves carry out preliminary inspections and then, during the theft, already knowing which objects to “target”, they move decisively. To hinder the theft, it would be worth keeping on view only the samples for display purposes and not the goods in their entirety, which should instead be hidden from the view of the thieves (for example in closed shelves) or better still kept in a room (e.g. a the back of the store) which in turn has a door that can be closed at the end of the day. 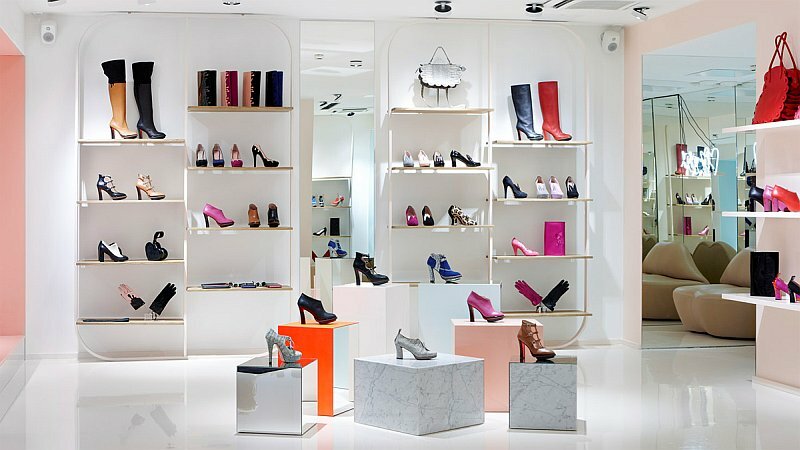 For example, in the case of the shoe shop shown in the video which we examined, if it had been possible to leave just a single model of shoe on display, enough to show the product to the customer, whilst keeping the other boxes not near the sample, but in another closed room from which to take the pairs to be tried on by the customer, it would probably have complicated the “work” for the thieves who would have had to work harder to get their hands on the most valuable models. Find out more about Condor and New Condor fixing units.